Guardians are unique creatures created by the Dreamer and have spread to all of Dreamland. Heroes that can tame these Guardians will receive their protection and aid in battle. There are a number of ways to cultivate your cute Guardians, so take great care of them and they will prove to be immensely helpful allies for you! 1) The Guardian system is unlocked at level 54. Guardians provide deployed heroes with bonus stats and battle skills in PVP. (train Guardians to increase their XP, when XP reaches max of current level the Guardian will increase 1 Star, when the Guardian reaches max XP at 10 Stars, they will upgrade 1 Rank). 1）The Starlight feature is unlocked for specific Heroes when they reach 7 Stars. 2）Starlight has 20 levels, you can upgrade 1 stat at each level. Reach special levels to illuminate a Fusion Skill. 3) Fusion Skills work similarly to Ultimate skills. When you meet the requirements to use your Fusion in battle, you may unleash its devastating power. If requirements have not been met, you will release your normal Ultimate. In Version 2.3, the first heroes to gain Starlight are:Zeus, Arwen, Revenant, Wargrider, Tripitaka, Naga, Whitefeater, Silverspear, Athena, Mikael, Lunar, Apollo, Emperor, Blackfeather, Lord Black, and Ancestor Xi. More will be coming soon so stay tuned! 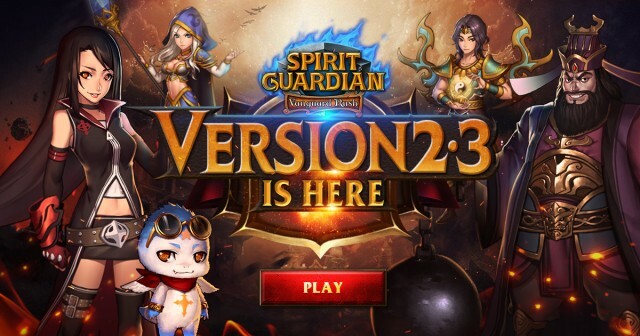 Spirit Guardian is introducing a new game mode! 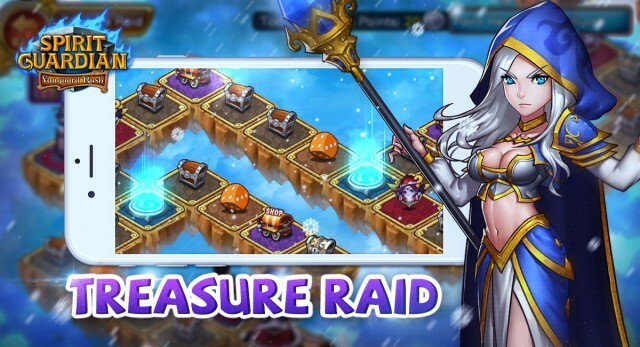 Treasure Raider is a monopoly-style game where players can explore new lands in search of hidden treasures! 1）Unlocked at level 42, explore mysterious lands to uncover their treasures! 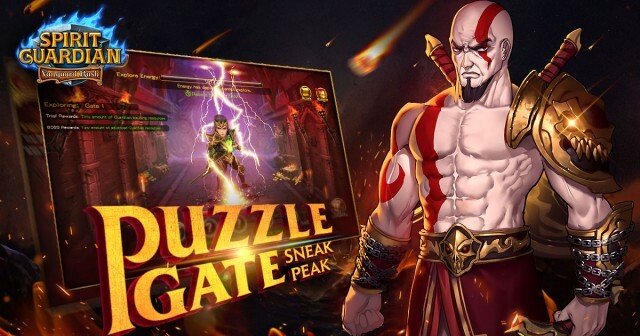 Puzzle Gate is a daily dungeon PVE mode where players can battle through Gates with monsters of varying difficulty to earn Guardian resources. 1）There are many Puzzle Gates, each Gate has 5 challenges (4 normal stages and 1 boss stage). Only by passing all 5 challenges can players open the treasure vault and move on to the next gate. 2）Each Gate has a level requirement to unlock, work on leveling up if you want to access more Gates. 3）Each Gate has a Vault at the end with great rewards, the higher the difficulty, the greater the rewards. Good luck, Dreamers! 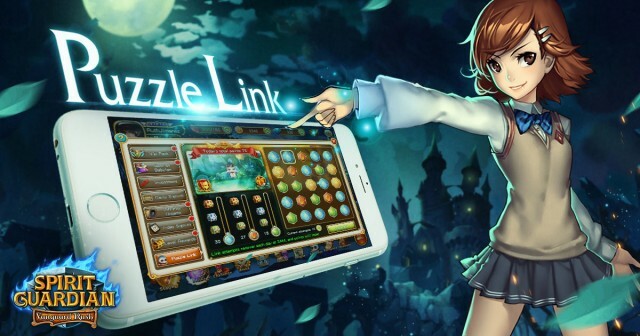 When Guardians are not fighting, they like to play Puzzle Link! The game is easy to understand, simply connect the same Guardians together to score points! This system is unlocked at level 26. 1）Match 4 of the same Guardian to clear them and get points. Different types of Guardians reward different amount of points and rewards. 2）The more Guardians you clear at a time, the more points you will get. *Added Chapter 3 and 4 Nightmare Difficulty Stages. *Increased level cap to 95. *Added layers 90-100 for Endless Dream. *Increased max Hero quality to Legendary+5 and added Hero Breakthrough 5. 1) Added red dot prompts to Guild and Develop buttons. 2) Ultimate skills now refund some Rage when they are interrupted. 3) Blackfeather's Ultimate skill now silences for 2-5 seconds (3-6s after Breakthrough) instead of the fixed 5s. 4) Decreased range of Emperor's Ultimate skill by 500, increased Pandora's Breathrough skill effect. 5) Added formation preview for auto-combat PVP in formation interface. 6) Boss Assault now has unclaimed reward storage limits. 8) Added player donation info to Guild Info panel. 9) Added player info panel when clicking on Guild member avatars. 10) Added red dot prompts to Guild related events. 11) Medusa will now inform you when Guild War starts. 12) Guild member info list now shows daily contribution and Guild War participation. 13) Decreased percentage of Rage gained from taking damage. 14) Items in backpack now show if they are equipped and by which Hero. 1) Lunar: Swiftness Aura now increases Lunar's attack speed by 10.5% (+0.5% per level); teammates gain 5.25% (+0.25% per level). 2) Naga: Summoned Golem now has a chance to Stun with its attacks; damage and damage reduction increases with level. 3) Wargrider: Spirit Wolves gain 30% of Wargrider's HP, ATK, and DEF when summoned.